Port Vell consists large commercial and recreational harbor with stunning waterfront views and no shortage of seafood restaurants. 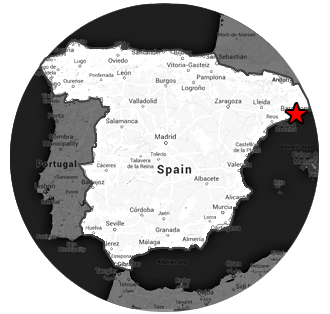 La Barceloneta is a neighborhood bordering the port and includes the beautiful Barceloneta Beach. Click the thumbnails below to jump to larger resolution images. 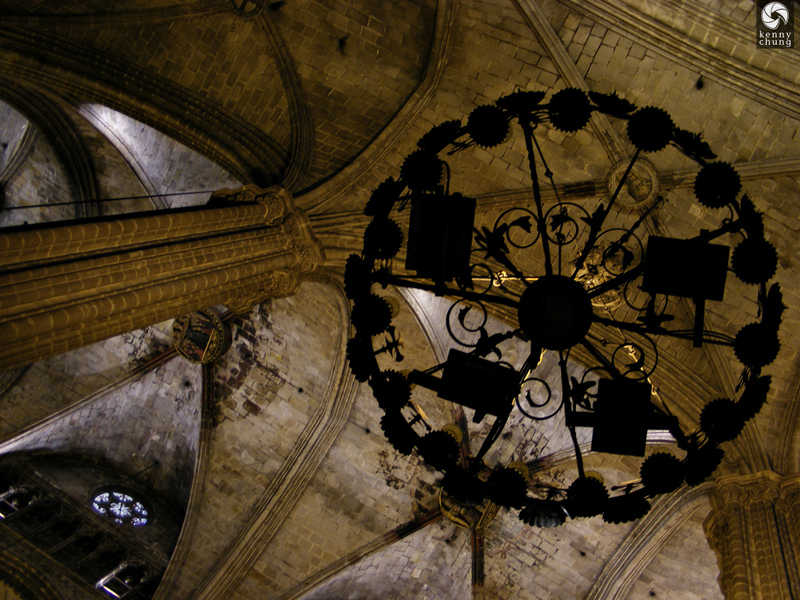 A monument honoring Christopher Columbus. 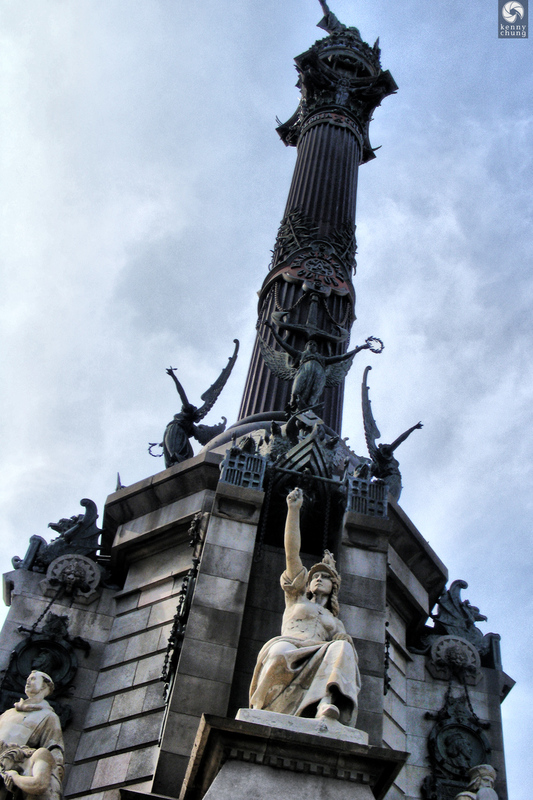 It features a statue of him on top pointing out toward the sea. 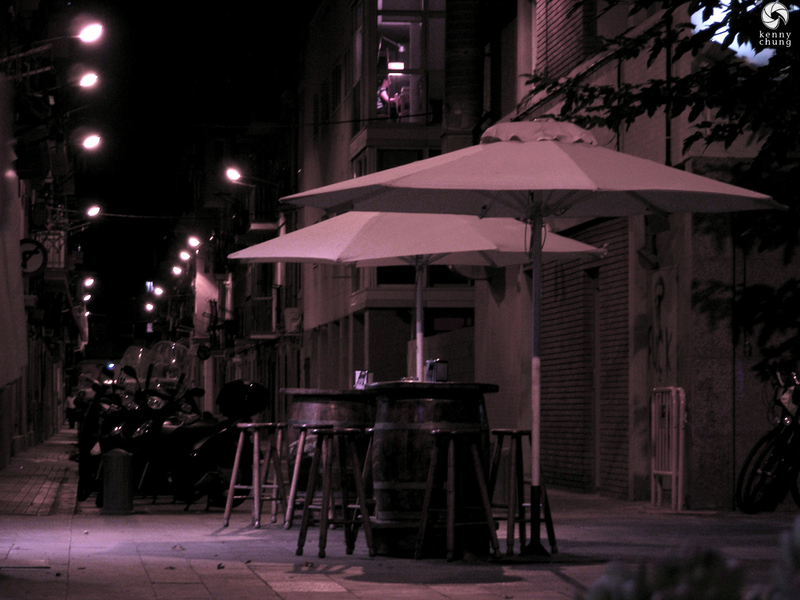 A girl sitting on the edge of the Port Vell boardwalk watching the harbor. 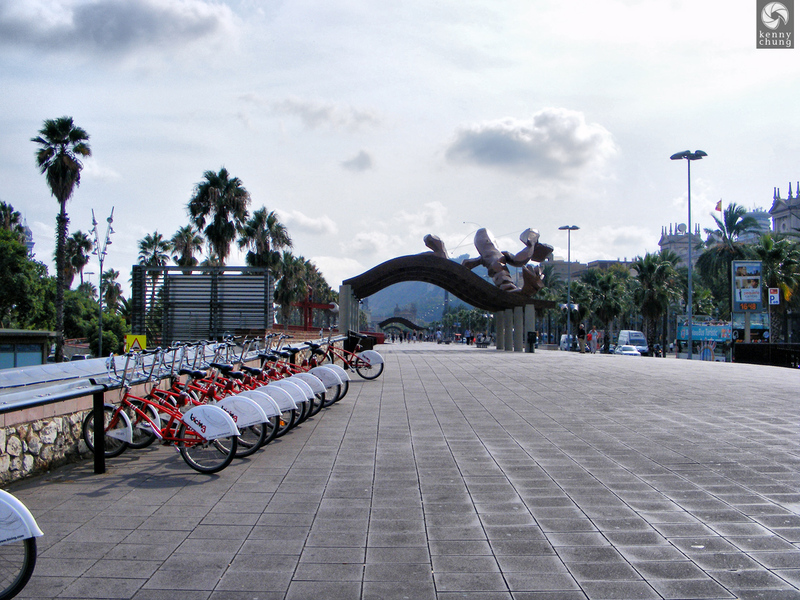 Barcelona is known for its Bicing program, which allows people to rent bicycles from and return them to various locations around the city. 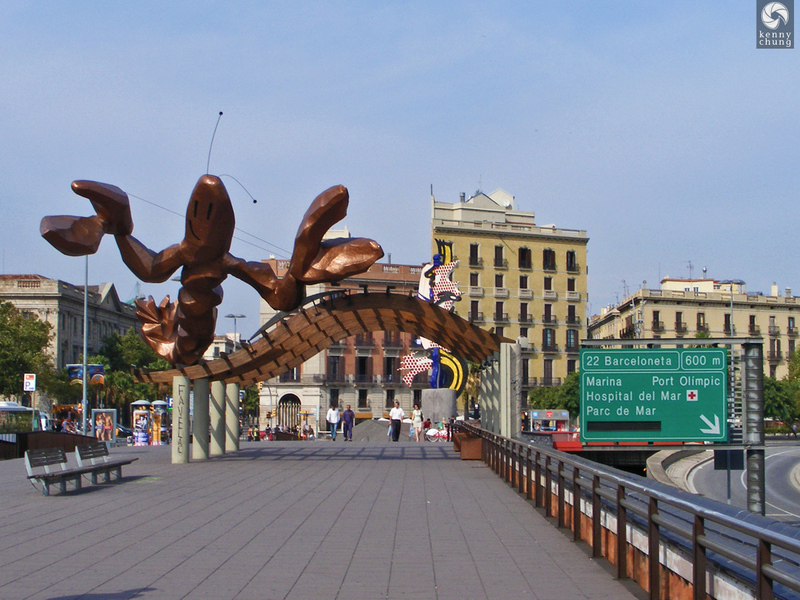 Two very important symbols of Barcelona: on the left, "La Gamba" (literally "The Prawn") created by Javier Mariscal for the 1992 Olympics; in the center, the Face/Head of Barcelona by Roy Lichtenstein. 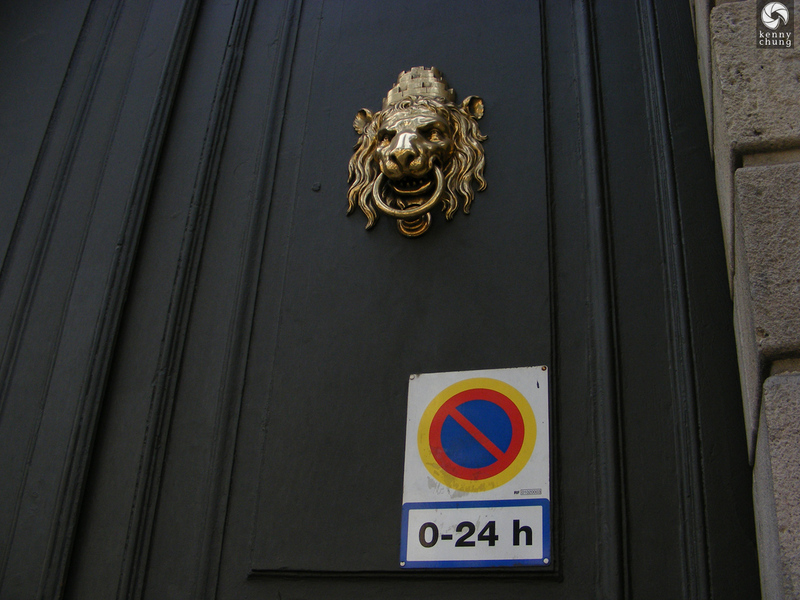 Not 100% sure what this building was, but it looked really official and had this really cool gold lion knocker. Our first glimpse of the beach. 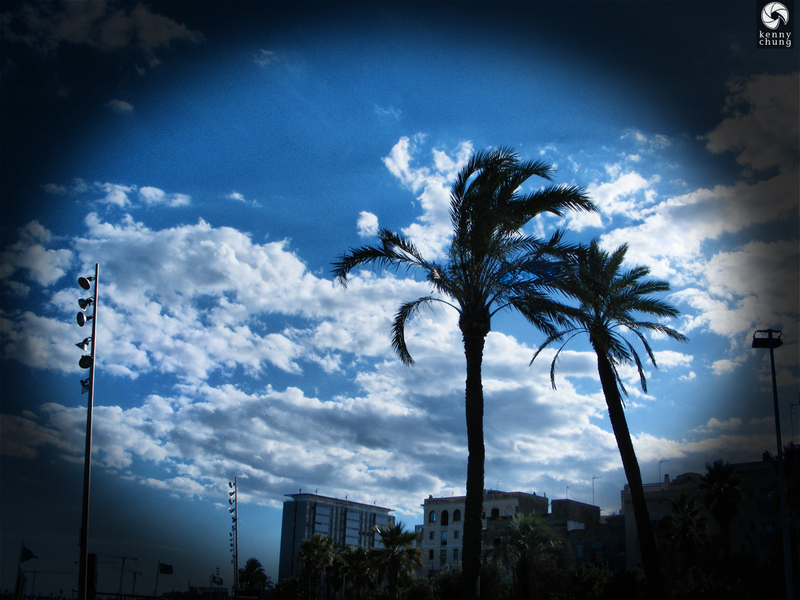 Palm trees and blue skies at La Barceloneta beach. 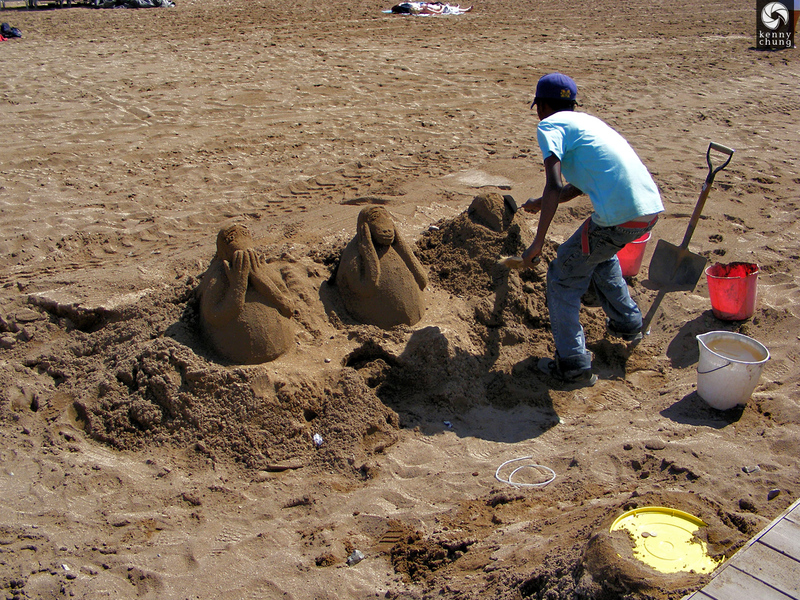 A very skilled sand artist, two-thirds done with creating the three wise monkeys (he was working on "see no evil"). 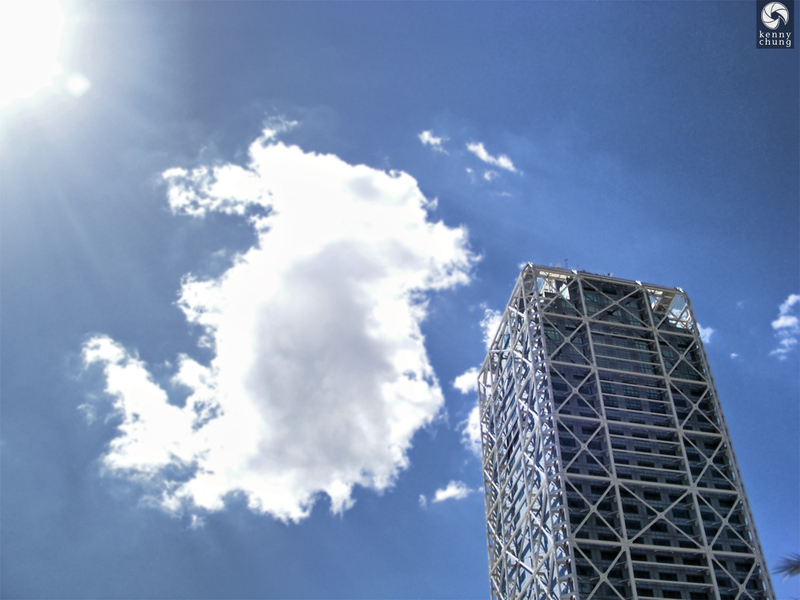 The sun, a big cloud and a grey building in La Barceloneta. Umbrellas adorning outdoor restaurant tables in La Barceloneta.